Most of my favorite artists dont release much any more... At least i have Yebo! 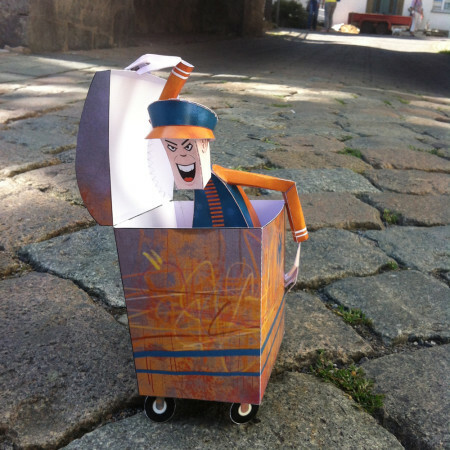 :) Thanks for all the papertoys! Marko, hope it's cool, but I just grabbed the images you posted here for a Clutter piece on the new series. You continue to blow minds! Thanks for the add =) Your Artwork is fantastic, Especially your BugBots, do you have any plans to make a papertoy BugBot? Thank you to add up me as a friend ! I like your draw on the papertoy so much! Thay are so cool ! And your papertoy are also full of artistry!! !